WhatsApp is the #1 Messaging App for countless countries around the world. From Latin America to Asia, Whatsapp is the undisputed king in certain markets, dominating over all others, and almost has a monopoly in this sector. 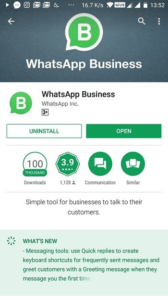 WhatsApp on January 18th 2018 launched a separate app, WhatsApp Business for small businesses to more easily connect with customers. It is quite obvious that this is an attempt to address the changing communication landscape, by developing WhatsApp chatbots to address the need of the growing population especially the business community. Messaging is global, it’s the preferred communication method for the largest consumer group on the planet (thanks to millennials) and now, especially on the heels of this new announcement, businesses cannot afford to ignore messaging — and the opportunity for simple and convenient one on one communication with their customers at scale. The basic principle of the newly introduced WhatsApp Business Accounts is: enabling businesses to communicate with their clients. Businesses will be able to manage their Whatsapp Business account the same way they manage their Facebook, Instagram or Twitter profiles. Plenty of small businesses are already using WhatsApp to reach their customers, albeit in a cumbersome and unofficial way. Providing support for Business Accounts will bring them a much-needed upgrade in the communications of small enterprises particularly. This is a clear indicator of Whatsapp’s view that the future of messaging is streamlining B2C communication and service, with the help of chatbots. The world is moving fast in terms of how communication in the technological sense. So if people want platforms that have chatbots, WhatsApp will surely need to follow suit or else risk losing money and users. Your customers will have to opt-in to your notifications when providing their phone number in your website. A green badge will indicate that the business phone has been verified by WhatsApp. WhatsApp has the potential to be the king for business to consumer communication, providing a utility-focused, spam-free communication channel. Waiting as long as they have to launch this, Whatsapp has been able to benefit from learning from other platforms’ mistakes and successes (most notably Facebook Messenger). The potential downside to this is it now has to figure out where it fits within a pre-existing & highly competitive ecosystem. It’s a hyper-optimized focus on customer experience and customer journey. The good news for marketers and businesses is that it means over time, a multi-channel focus will evolve to an interconnectedness that your customers access from one central point. To date, third-party developers do not have access to the WhatsApp platform. While a huge trough in reach, it’s a boon for organizations to capitalize on it. Of course, even this comes with its own pros and cons. Users, whether on mobile or on a desktop, can access this all in one space and do so while performing other functions. As you may have realised by now, WhatsApp Business currently does not support searching for businesses on WhatsApp. The business owner will need to have your contact number and add you to their WhatsApp contacts to begin an interaction or add you to a group. It feels a bit rudimentary at the moment, but with messaging features onboard, WhatsApp Business has plenty of chances of turning into something really big and the addition of WhatsApp Payments should work as a catalyst. Likewise, expect rich customer service will grow in parallel to SMS/MMS, particularly among Android users. Essentially, WhatsApp is an “SMS/MMS 2.0,” an update on rich media offerings in size allowance, access of other tools on our device and programs while using it. The service connects via your number and carrier, but the make-up, largely cloud-based, means you can create and provide conversational layers without the multi-step friction that currently happens for users download Facebook Messenger, install an app, etc. WhatsApp, has one definitive advantage: with messages popping up directly on the user’s phone screen, they offer immediate contact! 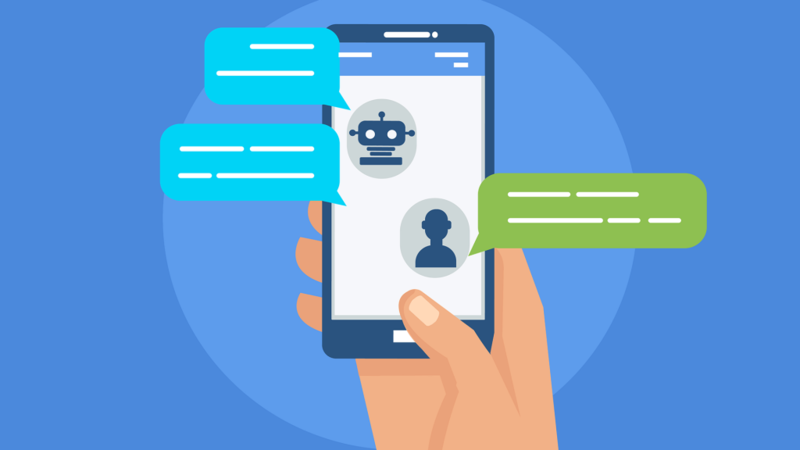 The integration with chatbots will allow them to become part of the customer’s everyday life because they contact the customer over their most-used platform. WhatsApp supports an easy exchange of media from companies to customers. This will officially announce the demise of SMS for whatever little use it had. No more searching important information in your SMS inbox amidst all the OTP and spam messages. To some extent, it will decrease the dependency on email. No longer searching for important emails amidst all the promotional, spam, transaction, social notifications and updates among others. While it looks very similar to the regular chatting app, there are some key differences within the business version. Thought the apps belong to the same company, the new business app had a different logo with the phone icon being replaced by a ‘B for business’. The logo is easily recognizable to frequent users, yet capable of differentiating between the two apps. Any tool that is being used for businesses needs to be measured. Messages also mean data. This way you can keep a track of how well the app works for you. Data that can be used to better understand your customers and offer better services, growing your business along the way. To this end, WhatsApp Business offers messaging statistics, a feature that provides business owners with simple metrics about the number of messages that were sent, delivered and read so that they can tweak the content of quick replies or their strategy of contacting their customers. A small, but useful feature indeed. So far, it is understood that WhatsApp is a huge asset for companies, but how exactly can marketers make use of this platform? The use cases are many and if done right can bridge the gap between you and your consumer to a great extent. Promo codes and much more. Since this is a one on one communication with your clients, make sure that the message is worth their time. Relevant promotions based on their website behaviour could work wonders for you. However o,ver utilisation of this may lead to the user getting annoyed and labeling your company as ‘spam’. BloombergQuint is the first English-language business platform in India to utilise WhatsApp as a platform for promotion of digital media and thus expanding the horizons of modern-age journalism. This service is free and it sends you news snippets every day. Additional content shared include market highlights and analysis, all in moderate doses. To subscribe, save their number to your WhatsApp contacts, and message “Start BQ” to begin receiving updates from BloombergQuint. And it is equally simple to opt out of the service, just message “Stop” to the saved number anytime and you’ll no longer receive the updates. BookMyShow is one of the very first companies in India who has begun using WhatsApp for business. They show us an example of how you can use it to send tickets to those who book movies through the platform. People, especially millennials have becoming used to checking WhatsApp on a daily basis, with increasing frequency. Which means that if they have a policy that needs renewing or an upcoming flight, you can send a message reminding them of it. This way you can also reduce the risk of them missing out on important deadlines. Once the customer finds a free seat they can simply reply with their desired seat number and Goibibo books and confirms that seat for them. In case, the customer selects a premium seat, the bot sends a payment link and the seat is confirmed after processing the payment. In a statement, Goibibo claims that it saw seat booking increase by 5X in just first few days of the feature being rolled out to its customers. The feature is currently supported on IndiGo bookings and will be live across all major domestic and international airlines soon. Additionally, having a one-on-one platform increases their feeling of entitlement and pushes them to buy from you more. Oyo has brought the convenience of real time connection to the hotel-booking process via a WhatsApp chatbot. They have used the application to send hotel pictures, confirmation email screenshots if customers did not receive them by SMS. Further, they are using it to chat with customers to answer their questions and/or resolve issues. In case of a connectivity issue, Oyo will send you an SMS in addition to the WhatsApp message, which is sent from a verified profile. In this age of information overload, retail investors often find it a time-consuming process to track updates related to markets as well as their investment portfolio. Axis Bank launched a WhatsApp chatbot which leverages WhatsApp as a medium of communication. Itoffers personalised engagement by sending relevant content to users. This feature provides not only personalised alerts, research ideas and market updates via WhatsApp but also can fetch live portfolio values, stock quotes, index values or even answer investor queries on chat. Since security is the top concern in banking services, the inbuilt end-to-end encryption on WhatsApp makes it highly secure. This step allows the investors to make informed financial decisions in a simplistic and innovative manner. The platform has gone beyond being a no-frills, free instant messaging service to include features like video calls and Instagram-like disappearing status messages. Earlier this month, it launched a peer-to-peer payments feature – a million users are currently on its beta version in India. The full-feature version will be released if the beta one is successful. The real win for WhatsApp, however, is in enterprise customers. Until now, the scale of the bigger companies made it impossible to use the service to communicate effectively. With the new Business Accounts, WhatsApp has the potential to become a priority communication channel, which brings massive growth opportunity for both WhatsApp, and the businesses on it. However, this may also backfire. This move has the potential for it to become as chaotic as our SMS and email inboxes are today. Brands will walk on an extremely thin line between helpful and intrusive. Only time will tell on how marketers and businesses approach this.